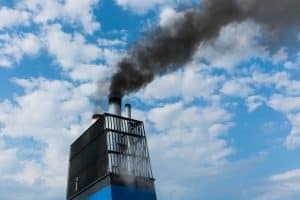 New environmental rules from the UN maritime organisation IMO mean that shipping companies must now choose between dropping sulphur-rich fuels entirely or having a scrubber installed to clean the emission gas. This is expected to drive the demand for scrubbers to sky high levels. A retention of ambitious sulphur requirements and a new ban on sailing with heavy fuel is good news for both the environment and scrubber manufacturers. From March 2020, only those ships that are fitted with a wet scrubber may have fuel with a high sulphur content on board. IMO’s committee for the protection of the maritime environment, MPEC, has also rejected a proposal to offer dispensation for ships without scrubbers to have a maximum sulphur content in their fuel of 0.5 percent. The decision was made at MPEC’s London summit at the end of October 2018, and this is expected to increase the already high demand for scrubbers on both retrofit and new ships. “After the MPEC summit it is now clear that shipping companies have just two options from 2020: to install a scrubber or switch to fuel with a low sulphur content. Many bigger shipping companies have already signaled that they will invest in scrubbers,” says Ketil Vesterlund, CCO at Hoyer. In recent years, Hoyer Motors has focused on motors for wet scrubbers and is thus well-prepared for the increased demand. Hoyer’s energy-efficient IE2 and IE3 marine motors are used primarily for the large pumps and fans in the scrubber system. 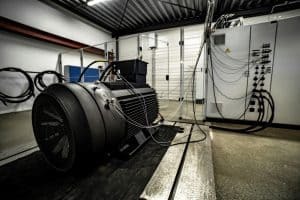 Due to its collaboration with market-leading scrubber manufacturers, Hoyer has detailed knowledge of the application and can supply electric motors that comply with the special requirements at extremely short notice. The short delivery times are essential in the scrubber market as the 2020 requirements approach closer and closer. Besides a large stock of scrubber motors and the option to convert motors to special specifications, Hoyer Motors also works closely with maritime classification societies such as ABS, DNV GL and BV. This is crucial for a smooth delivery of classified electric motors for maritime use. “It can have a huge impact on the requirements for the motor as to whether the scrubber is assessed as being an essential or non-essential part of the ship, and this can vary from society to society. If it is essential then the ship may not sail if it doesn’t work. This will often mean huge expenses for the shipping company. We enjoy a good collaboration with the classification societies, where we work together to find the right solution to ensure a speedy and flexible delivery. We expect this to be strengthened further with our new test centre in Denmark,” concludes Ketil Vesterlund. Read more about wet scrubbers and the sulphur requirements from IMO here.